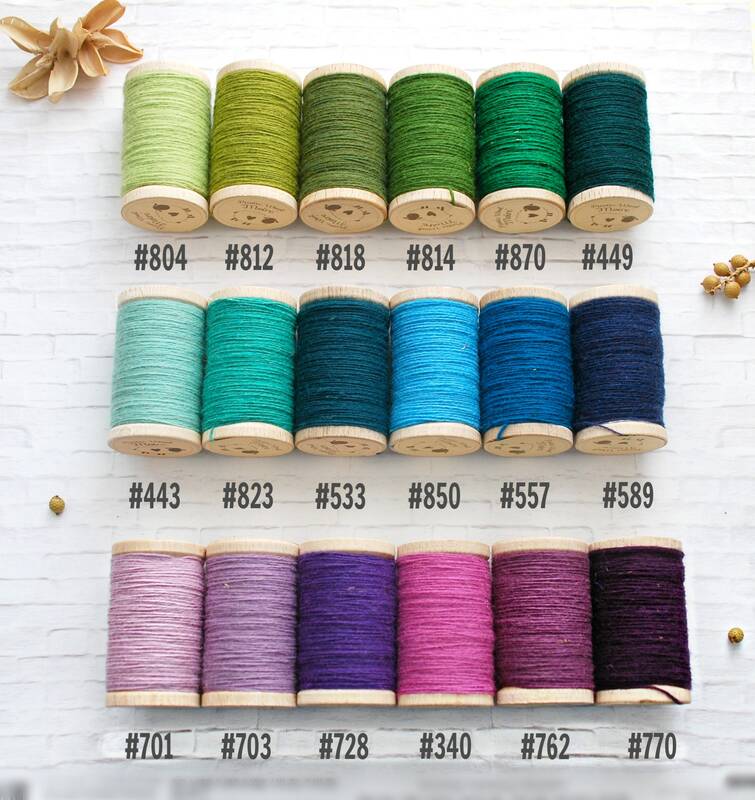 ♥ Over 50 Lovely Colors Available! 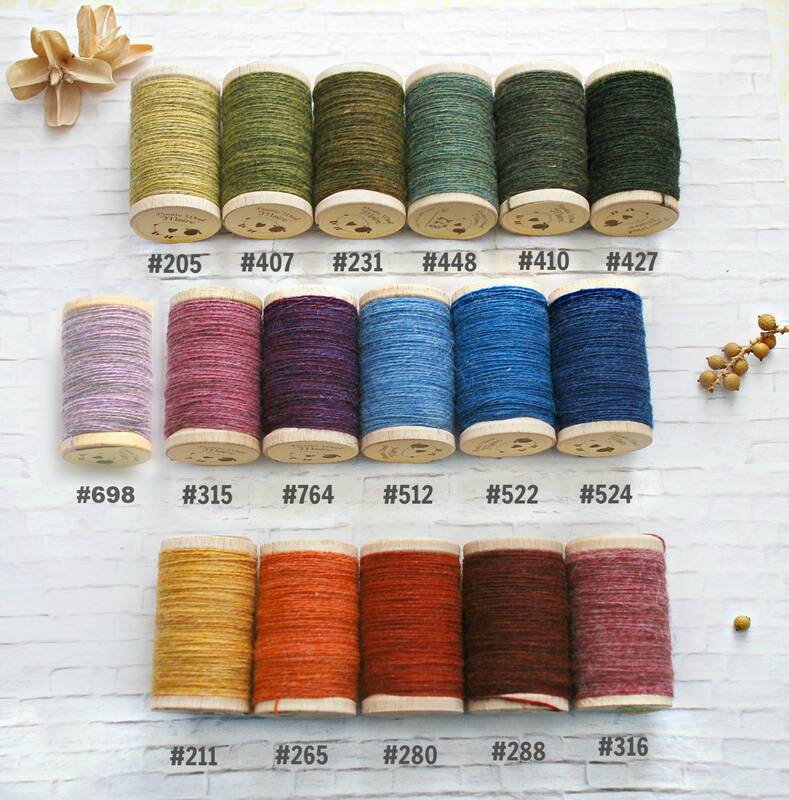 Colors: Refer to images #2, #3 & #4 to see all color charts and advise at check out in the "Notes to Seller" which color or colors you would like. 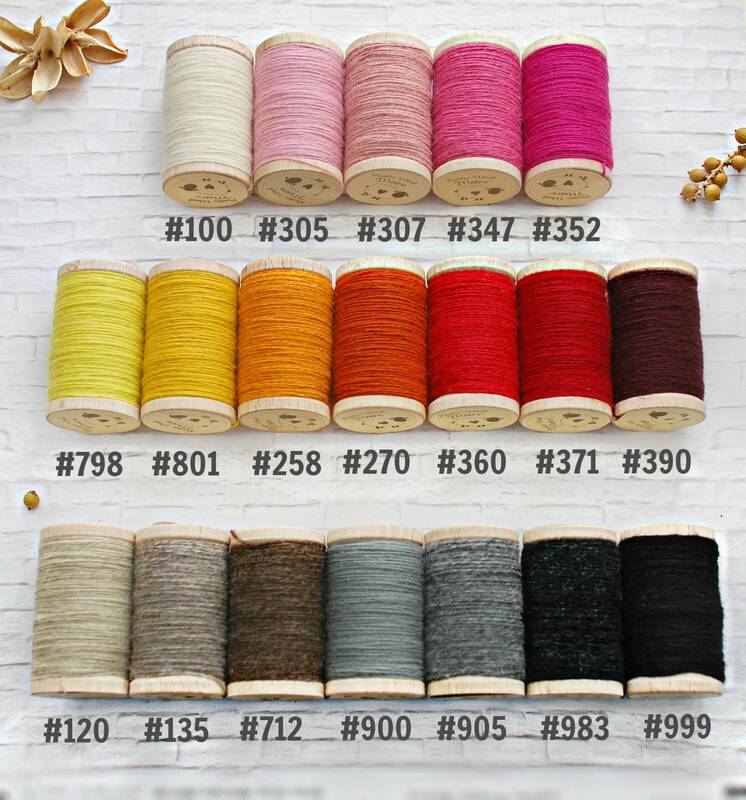 This rustic 100% wool thread has a very lovely texture, it comes in so many yummy colors and it's perfect for embroidery, stitching, wool appliques, needle point & punch needle. It also comes with a re-usable wooden spool yeyeyeye! It's 100% wool - not mixed with polyester, - spun not blended - and therefore will break. HOWEVER - when stitching wool applique or on wool felt, you are NOT yanking the threads, and should NOT experience breakage as long as you follow a few tips below! I have used it with Crafty's wool felt as the stitches hold beautifully! 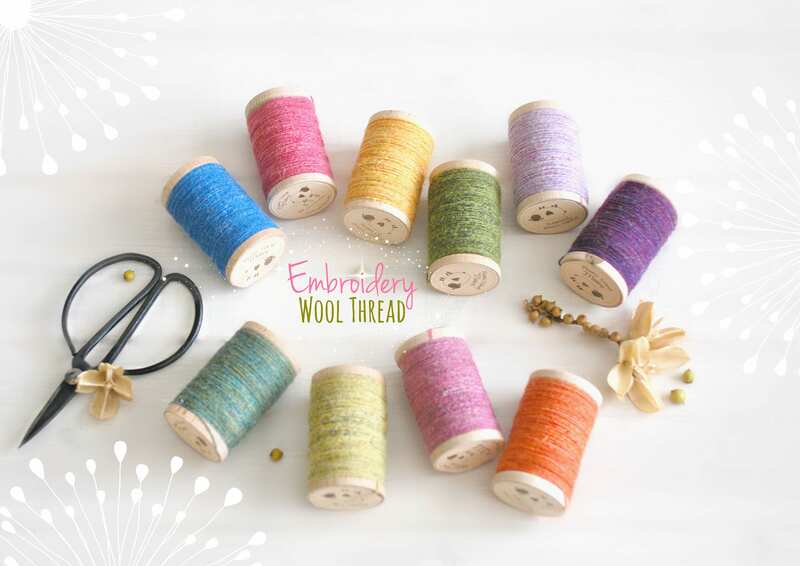 #1 - A large eye chenille needle is a must when working with these threads. #2 - Stitch or Embroider with a piece of 18" max length, as long as you keep it to 18” or less there should be NO breakage. - Colors may vary from dye lot to dye lot! Shipped very quickly! Love that the seller took time to double check my order as well as included some goodies I didn’t order :) high quality wool thread that I’m excited to use! !